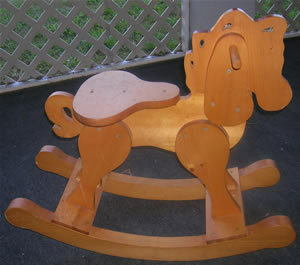 Free woodworking plans to build or design your own lead free kid friendly toys. Feel confident that your kids are safe after building one of these free woodworking plans. 22 Free Woodworking Plans found in the "Kids Toys" Category. The climbing bear is great for children 3-10. Hook the center string to something high enough for the child. Pulling the strings alternately makes the bear climb the string. Let go of the string and the bear slides down. This free woodworking plan can be printed out on a single 8 1/2" x 11" sheet of paper. It's a great little beginner project or one that you could do with the kids.